Remote Spy is rated #1 in Remote Spy Software! 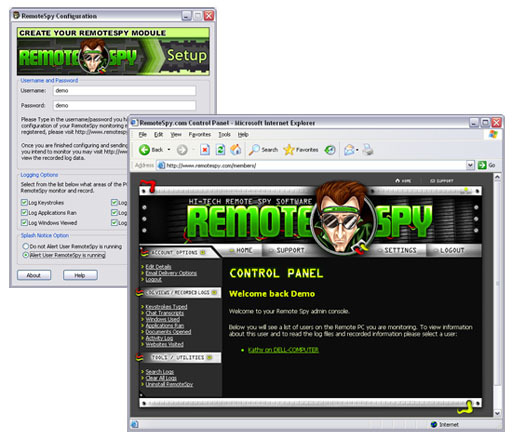 RemoteSpy is the leader in remotely installable computer monitoring solutions. With ground breaking technology, Remote Spy can record all keystrokes typed, websites visited, documents accessed, applications ran, passwords used, screenshots and so much more, all in total stealth mode! Especially perfect for those who want to monitor their employees or children, while away from home or work!